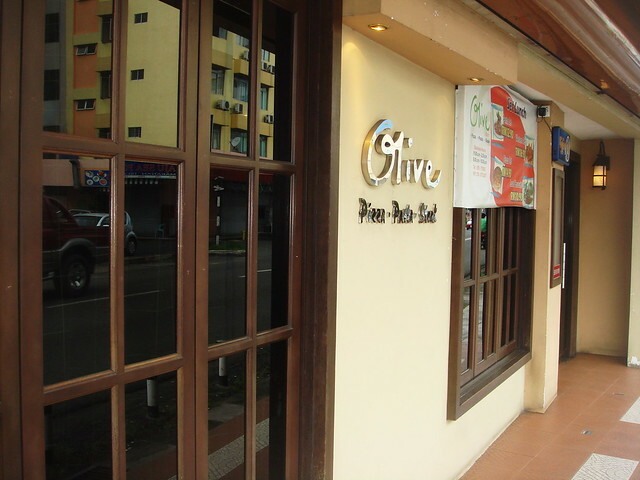 Olive Bistro is a place where you shouldn't miss if you happen to be in Tawau. 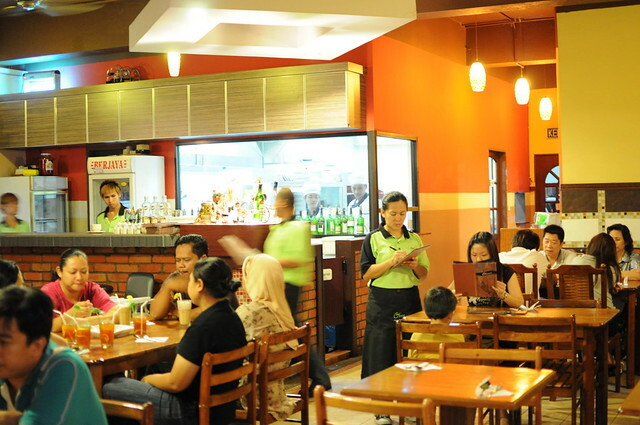 Serving both the Italian and Asian cuisine, Olive Bistro offers a decent yet delicate dishes. 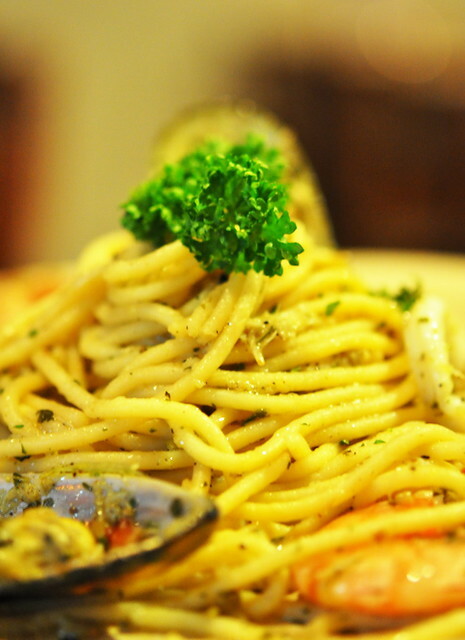 Really large portion, small eater could share this dish. 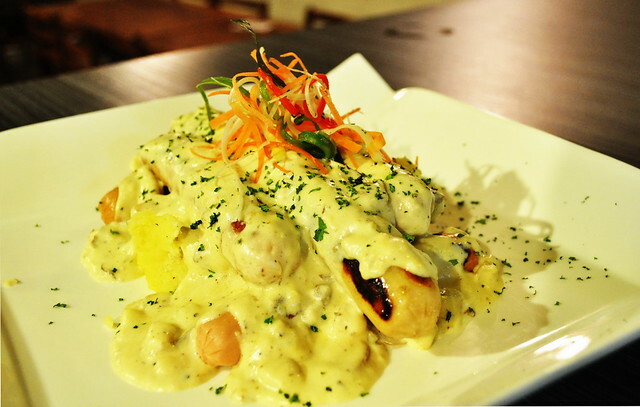 The sausages are homemade 5pcs thick chicken sausages serve with special mushroom sauce or creamy onion mashed potato. There are different kind of stuffing for sausages such as tangy herb, mushroom and black pepper. I prefer black pepper because it goes well with the creamy onion mashed potato gravy. 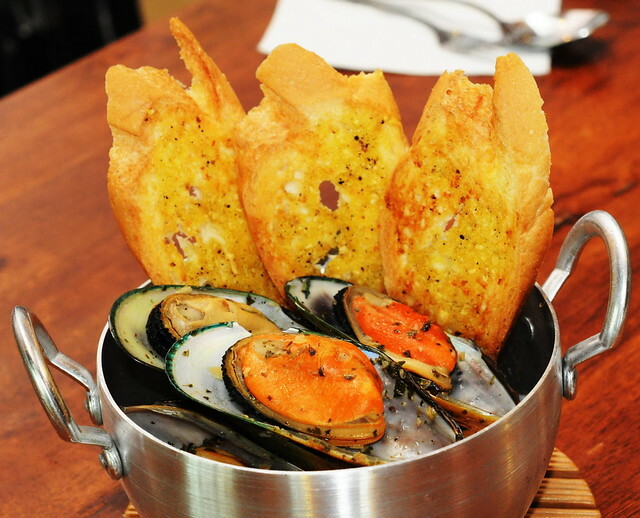 Baked mussels serve with crunchy garlic loaf. For those who are looking for healthy food, this is the dish. 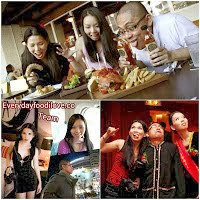 The taste is not too heavy, cooked with extra virgin oil. 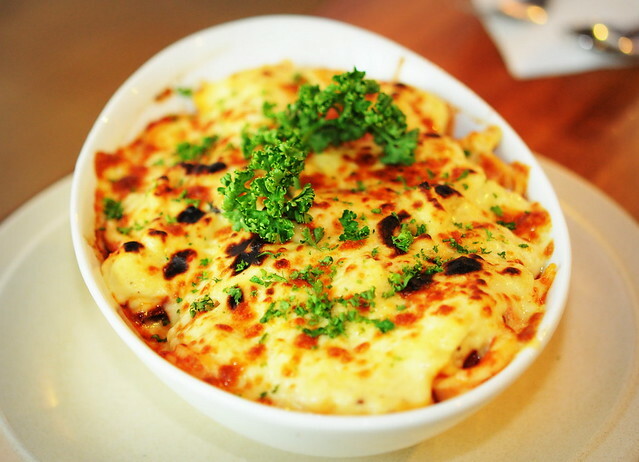 Seafood, fusili and tomato paste covered with cheese. 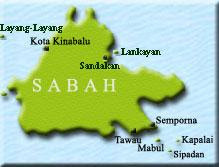 Really rich! 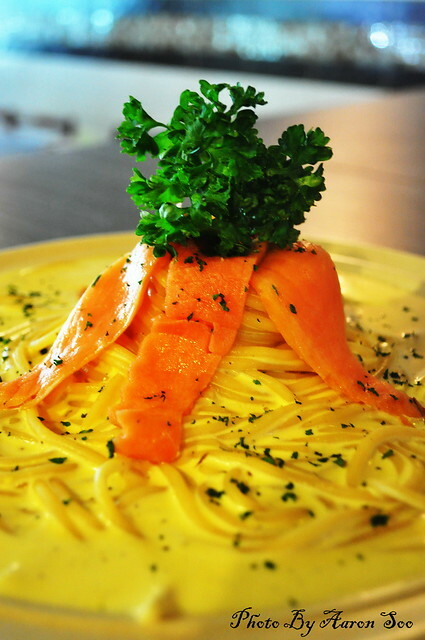 Smoked salmon with orange flavored cream sauce. 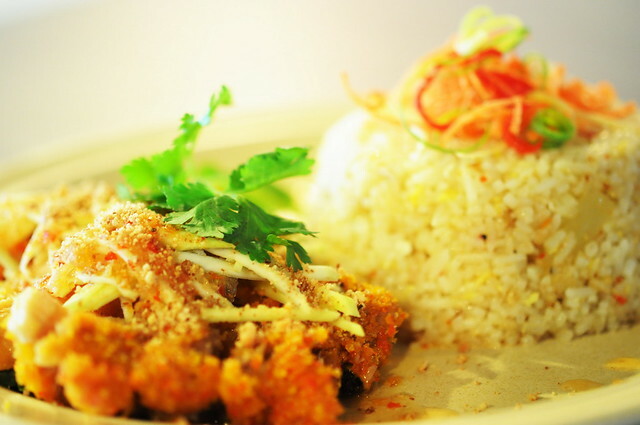 Crispy chicken with Julienne mango, roasted peanut and Thai sauce serve with fried rice. Highly recommended by the chef. 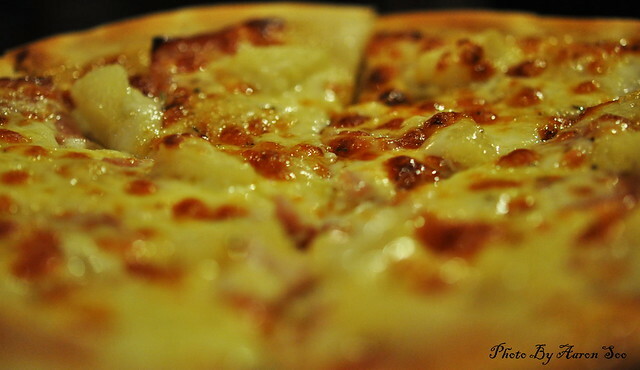 Due to its special ingredient that couldn’t be found elsewhere and crunchy crust. Serving good for 1 person. 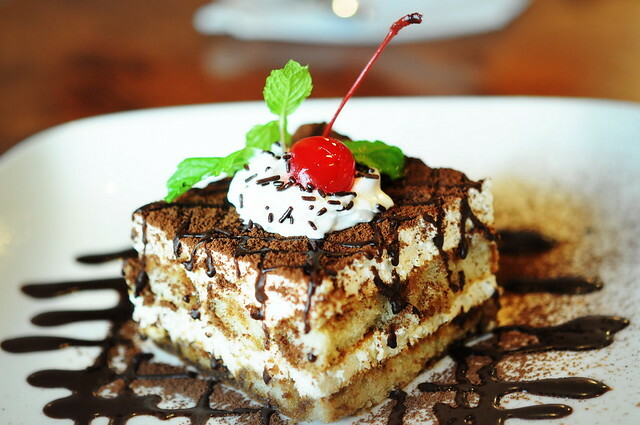 You could taste the liquor and coffee in the cake, some people might not like it. But as for me it is heaven…….